Another Step in RIM Death-Spiral As Yahoo! Offers Employees Any Smartphone EXCEPT Blackberry! Imagine that your employer came around and told you that everyone in the company was getting their choice of smartphone! That would be so cool, and it’s something that just doesn’t happen in most companies. But it was something just done by new CEO Marisa Meyer at Yahoo!. There was just one stipulation according to an article at TechCrunch – you cannot have a Blackberry. We have a very exciting update to share with you today – we are announcing Yahoo! Smart Phones, Smart Fun! 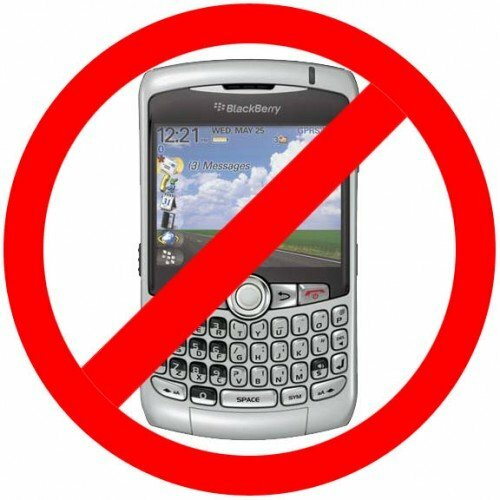 As of today, Yahoo is moving off of blackberries as our corporate phones and on to smartphones in 22 countries. A few weeks ago, we said that we would look into smartphone penetration rates globally and take those rates into account when deciding on corporate phones. Ideally, we’d like our employees to have devices similar to our users, so we can think and work as the majority of our users do. At my company, the standard phone for those with significant travel used to be a BlackBerry but expanded to include the iPhone last year … and subsequently everyone I know has switched over – to the extent that the company announced a phase-out of Blackberry services (one that was not originally planned). The move at Yahoo! reflects the reality of RIM as a fading property with little relevance in the app & media dominated smartphone market. And as we seem to say way too often, it is just another signpost on RIM’s trip to nowheresville!